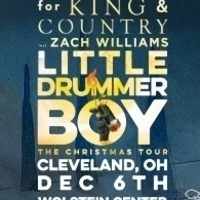 For King & Country is bringing The Little Drummer Boy Christmas Tour featuring Zach Williams to Cleveland State University's Wolstein Center. Distinctive oils are accessible which are helpful for us. As indicated by https://www.sellhomefastphoenix.com/ we can purchase oils which can suit us. We can utilize oil for hair development and for back rub moreover. We can purchase oil that can be useful for cooking.